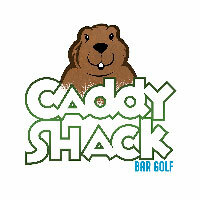 Caddy Shack bar golf is coming to Doc’s Sports Bar! Join us Sunday, April 14th, 2019. Get ready for nine fun and challenging putt-putt style holes, ranging in difficulty from easy to almost impossible. First tee time is 1pm. Sign-in starts at Doc’s (1305 Stringtown Rd) starting at 12noon. Registration for each 2-person team is $20. Only the team captain needs to register. Each member of the team needs be 21 or over (ID may be required). Awards ceremony starts at 4pm. Awards for the Top 3 lowest scores. And prizes for best team costumes! Caddy Shack Bar Golf is presented by Coors Light. If you choose to enjoy adult beverages during this event, Rise Up And Run and Coors Light remind you to drink responsibly.